Barcelonnette is a small town situated in the Ubaye Valley, in the mountains to the north-east of the Alpes-de-Haute-Provence department. 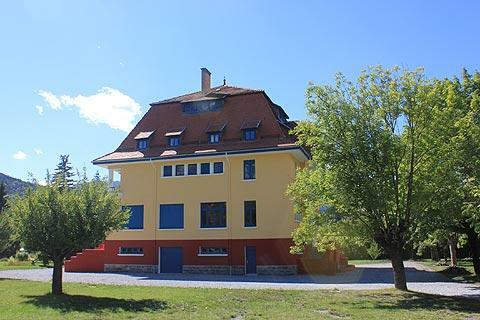 There is much to enjoy in the town of Barcelonnette, although you will perhaps notice that there is little in the way of very old buildings - this is because most of the town was destroyed by a terrible fire in 1628, so most of the buildings date from the 17th century onwards. One of the main highlights of a visit is the tall 14th century clock tower, originally part of an earlier convent established in the 13th century (the convent was rebuilt in the 17th century and has been further modified and restored in the 19th century). 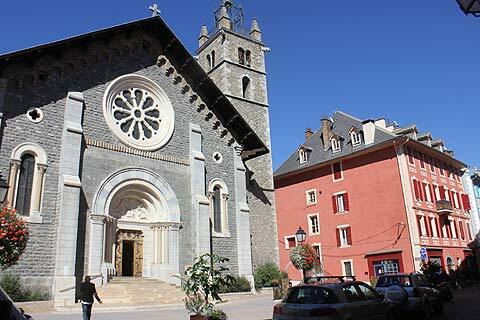 Note also the decorative 17th century belltower on the Church of Saint-Pierre (the church itself was reconstructed in the early 20th century), and the fountain in Place Manuel, the main centre in Barcelonnette. 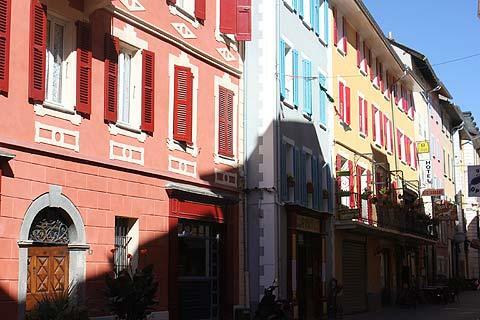 Barcelonnette is also notable for the sundials that appear on several of the buildings. Those on the Maison Paul Reynaud and in the Rue Honorat date from the first half of the 18th century, while others are more recent. 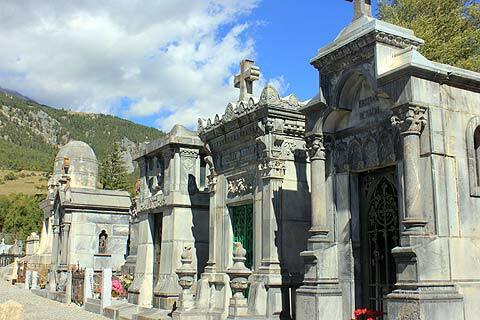 Another site not to be missed when in Barcelonnette is the cemetery! The tombs are huge and splendidly constructed from local, as well as Italian, stone and marble. These huge tombs have the spectacular mountain scenery providing a fitting back-drop. There are also plenty of shops, restaurants etc to divert you from your explorations as you stroll through this pleasant town. 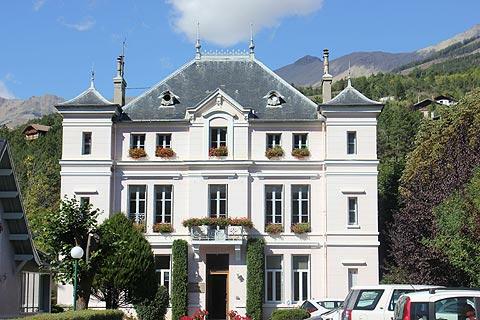 One very notable characteristic of the local architecture in Barcelonnette is the number of grand houses referred to collectively as the 'Mexican villas' and in a variety of styles, often surrounded by extensive gardens and many along the avenue de la Liberation. These were built around 1890 - 1920 by those from the town who had made their fortunes in Mexico and then returned to establish a community here. Strangely whilst many have Mexican-style names and are known collectively as the 'Mexican villas' they do not reflect Mexican-style architecture! 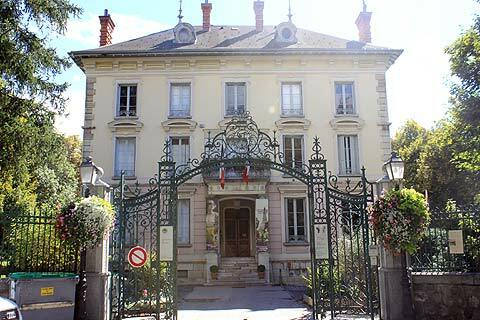 Among the most notable examples are the faux-gothic Chateau des Magnans, the Villa Morélia, the Villa Sapiniére (open to the public) and the Villa Laugier, although there are also many others of interest in the town. The town plays on the Mexican connection, for example with shops selling Mexican related products. It was the harsh winters in Barcelonnette that led to the link with Mexico. Whilst some residents laid low during the snowy season, weaving wool or finding other indoor activities some went abroad to find work. The Arnaud brothers from Barcelonnette went to Mexico in the 1820s and opened a textile shop. 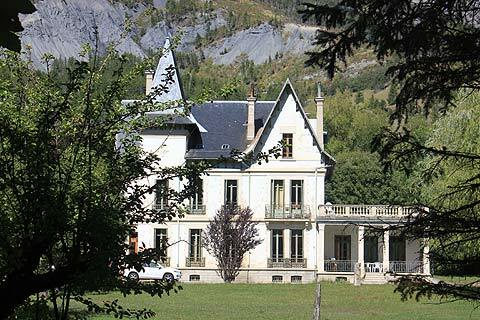 This did well enough to entice others from Barcelonnette to try their luck and many successfully made the move. Some came home again, now wealthy, and set to building beautiful villas for themselves, many in the Belle Epoque style fashionable at the time. The very picturesque scenery that surrounds Barcelonnette, including the Ubaye Valley and the Mercantour National Park, ensure it is active for much of the year, with outdoor activities being very popular in the region, both hiking and cycling in the summer and numerous ski and snow related sports during the winter. A seasonal market is held in Barcelonnette on Monday all day.